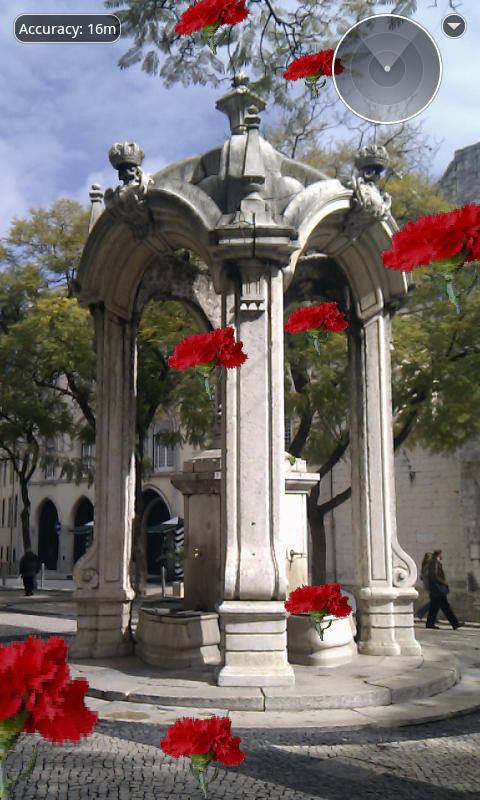 In Largo do Carmo in Lisbon, Portugal, an animated rain of carnations fills the square. 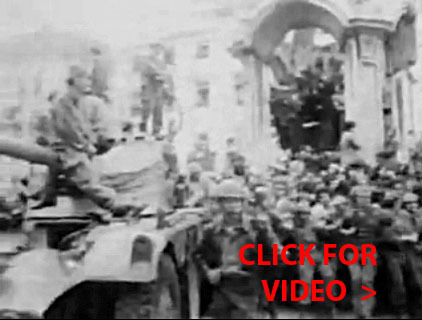 On April 25th, 1974, the "Carnation Revolution" broke out in Largo do Carmo (Carmo Square) in Lisbon, Portugal. A leftist military coup toppled the Salazarist dictatorship that had ruled Portugal for around 50 years, ushering in changes that brought democracy to Portugal. 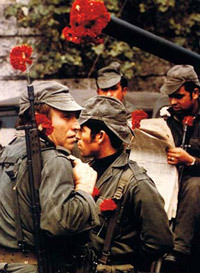 Carnations, stuck in the barrels of the guns, became the symbol for this first bloodless revolution in 20th century Europe. 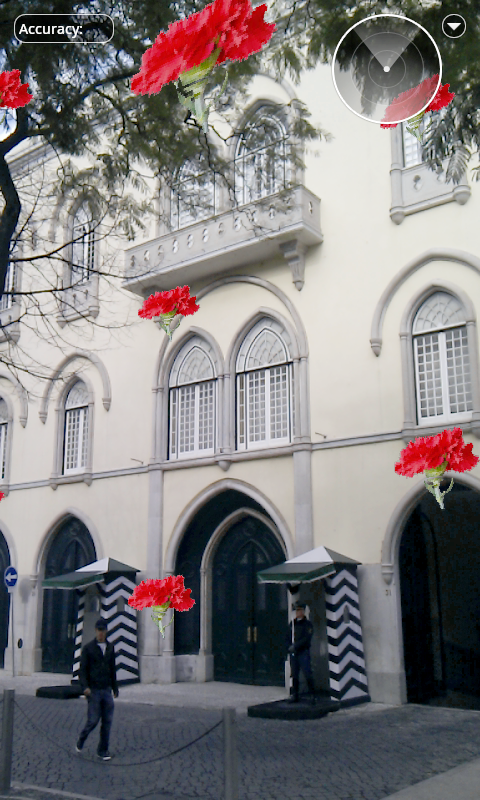 To commemorate this event I have created "Carnation Rain", an augmented reality (AR) artwork of an animated rain of carnations, placed via GPS in Largo do Carmo. 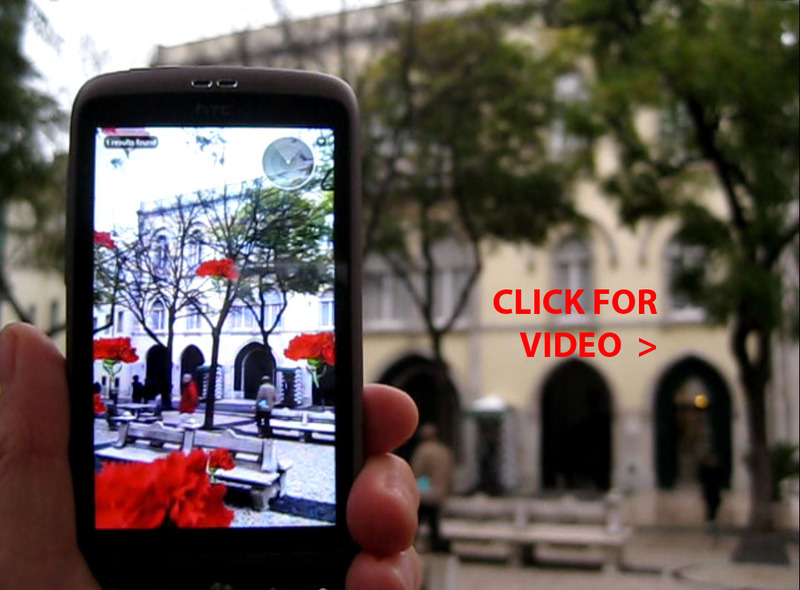 "Carnation Rain (Largo do Carmo)" is only viewable in the display of a smartphone (Android, or iPhone 3GS & higher) with access to the Internet. 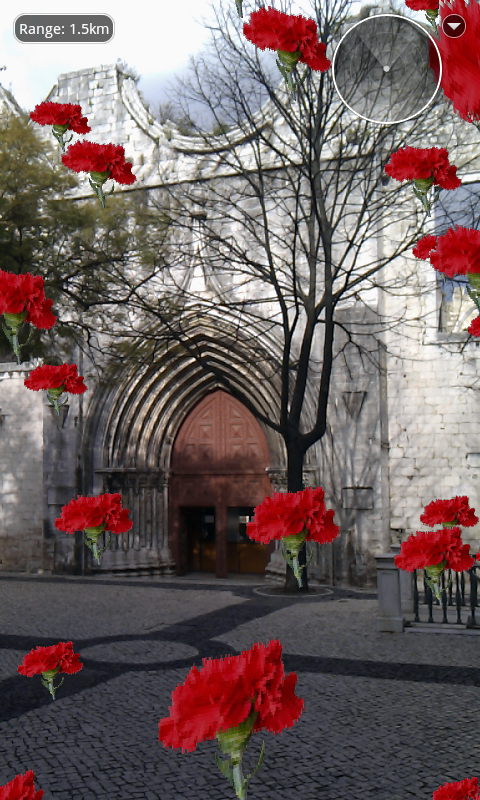 Go to Largo do Carmo (Carmo Square) in Lisbon and search for "carnation" or "tamiko." Depending on your Internet connection, it might take a minute or two to download.